No more 5th Wheel Hitch taking up the space in the bed of your truck ! Pull your 5th Wheel trailer and Goose-neck trailer with one hitch - No More Switching Hassles. Cheaper than 5th Wheel Hitches, This is the ONLY hitch you need. 20,000 pound GVW Towing Capacity and 4,000 pound Tongue Weight Rating. Easy to Install with no drilling necessary. Attaches to a standard 2 5/16" Ball Easily receives a padlock to secure the trailer when hooked up or parked. These adapters include a fail safe King Pin Adapter. They have a patented Positive Lock Coupler - no more climbing into your pickup to lock or release your hitch. Kit includes safety chains field installed. 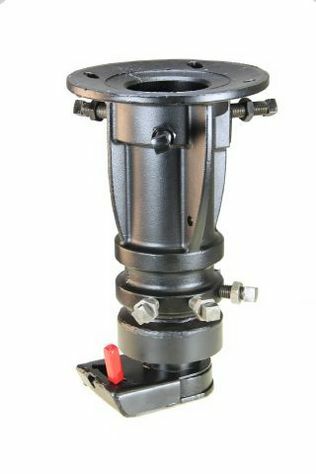 People prefer the Convert-A-Ball Offset adapter because it is heavy duty, has a 100% customer satisfaction guarantee, and is very easy to install. So stop the hitch switching hassle and start towing your trailers with greater ease and convenience. Call or E Mail me with any questions. Offset Adapter has all the above features only with a 8" inch offset.. Note: We do not recommend using the Ranch Hitch adapter (3100 or 3139) on a cushioned or moveable pin box, only on static pin box applications.